You wanted it, we got it! 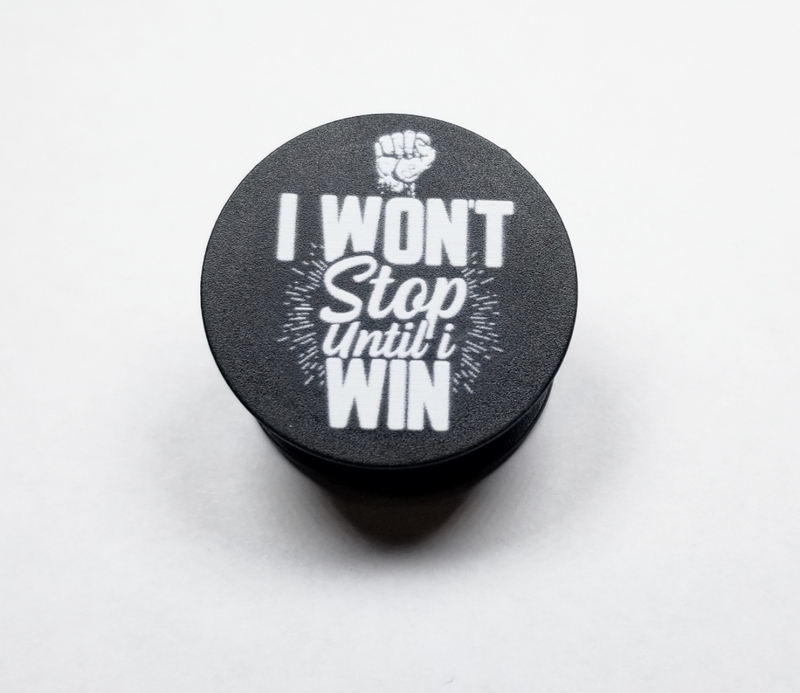 The “I WON’T STOP UNTIL I WIN” pop socket is here! These comfortable pop sockets are the perfect accessory for your phone and they make a powerful statement. They stick to your phone and help you take the perfect one-handed selfie! One-handed texts…no problem. 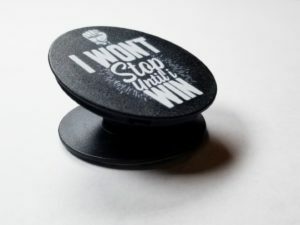 They also bend forward, sideways, and backwards to allow your phone stabilization while you binge on Netflix or YouTube. 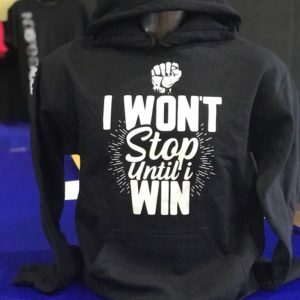 You won’t know how much you need it, until you have it. Then you can’t live without out it.